Highland Scotch whisky distillery Tomatin, near Inverness, announced on Monday that its turnover increased almost 25% during the company’s most recent financial year. For the period from December 31, 2016, to December 31, 2017, turnover grew 24.6% to £18 million and profit before tax rose 14% to just more than £4 million. Tomatin also said turnover for the distillery’s visitor centre surpassed £1 million for the first time. Buoyant markets for Tomatin include the UK, US and Germany, where the company reported its strongest sales. 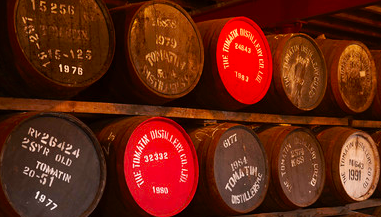 Tomatin managing director Stephen Bremner said: “This is a very exciting time for Tomatin.